Executives with Pebble Limited Partnership and some of their high-profile supporters, like former House Speaker Gail Phillips, have recently made misleading statements about the location and potential impacts of the proposed Pebble Mine. They stated in public forums that Pebble is not located in the headwaters of Bristol Bay and that it would only affect about two streams out of some 42 similarly-sized streams in the project area, thus creating the false impression that this enormous copper and gold mine would cause minimal harm to the habitat of Bristol Bay’s great salmon fishery. Nothing could be farther from the truth. The argument that this giant mineral deposit is not in the headwaters of the Nushagak and the Kvichak Rivers relies on a dim notion that the headwaters is only the single stream in a watershed that is farthest from the ocean. Any thinking person knows that surface and ground waters flow downhill anywhere in a watershed, not just from the stream that’s farthest from the ocean. As someone who has taught river ecology for 40 years, I know that the headwaters are where small streams first start to flow throughout a watershed. 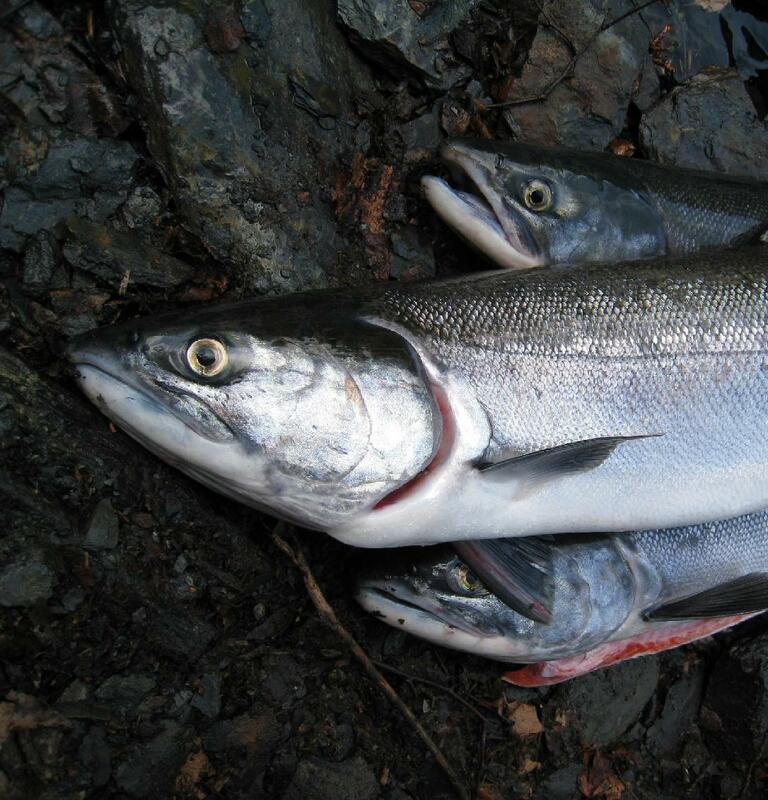 I began my career in 1967 on the shoreline of Alaska’s largest king salmon producing river, the Nushagak, near Ekwok. My job was to sit on a tower above the river and count the number and species of salmon swimming underneath to reach spawning grounds in the headwaters of the Nushagak. Sockeye, chum, chinook, pink and coho streamed by, sometimes faster than I could count them. Since then, I have worked in rivers around the world exploring how they create habitat for salmon and trout. Bristol Bay is home to the world’s largest sockeye salmon run, and it’s a testament to the thoughtful management policies of the State of Alaska that it has remained so. The key to the high productivity of sockeye in Bristol Bay is the habitat, especially the abundance of clean lakes and the intimate connection between water flowing underground and at the surface. Bristol Bay is an inherently wet, porous place, where water moving between the ground and the surface provides the perfect place for salmon eggs to develop. It is simply wishful thinking to assume that the Pebble prospect can be developed without long-term impacts on Bristol Bay salmon. Pebble would necessarily destroy salmon-bearing headwater streams outright and would very likely pollute many more. This has happened time and again with sulfide mines around the globe, and Pebble would be one of the largest and likely the most destructive headwaters removal mine ever conceived. Any pollution from Pebble wouldn’t just affect salmon near the mine site; it would travel easily downstream, through surface and groundwater. In fact, the porous nature of the Bristol Bay watershed that makes it such a great producer of salmon also makes it especially vulnerable to the kind of pollution that is caused by copper sulfide mining. In the end, a project like Pebble would put all of the salmon downstream from the site at risk; this means no less than all of the fish that return to and rear in the Nushugak, the Kvichak, Lake Iliamna and the vast majority of their tributaries. A mine of this magnitude is not just about the mine site and the pollution that could emanate from it, it’s also about the broader cumulative effects, whether it’s the haul roads that cross stream after stream and open up the entire area, leaks from the slurry pipelines or the multitude of mining claims whose owners stand ready to develop more mines if Pebble becomes a reality. As an expert on rivers, I can say with authority that Bristol Bay is in nearly the same situation that faced the great salmon rivers in the Lower 48 before their salmon were lost to development, dams, pollution and other factors. The only real difference for Bristol Bay is that the decision can be informed by history. On the other hand, wishfully thinking that you can have it all — a mining district and a thriving fishery — will take Bristol Bay down the same road as so many once-great salmon rivers. Jack A. Stanford is a professor of ecology at the University of Montana.